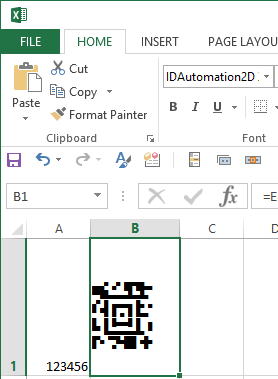 How to encode Aztec Barcodes using VBA in Excel? The tutorial explains how to encode data in Excel using the Aztec Font Encoder VBA. 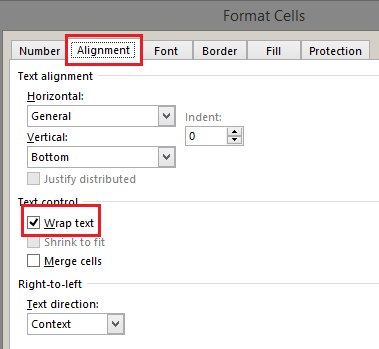 IDAutomation offers a 2D XLS Font for Excel; however it does have some limitations. 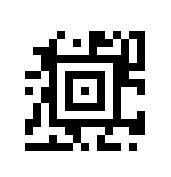 It is compatible with Data Matrix, QR Code, PDF417 and Aztec. 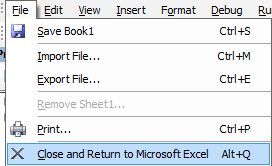 Microsoft Excel may also be used as a data source for the font, as explained below. 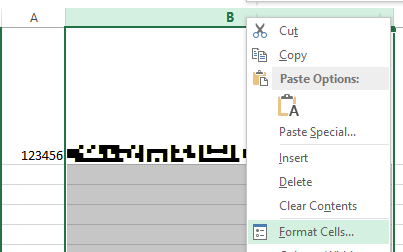 It is often difficult to use 2D barcode fonts in Excel because of the encoded data's line feeds and carriage returns. Excel may not properly handle these characters in a cell. Therefore, you may receive a barcode that is not properly shaped. 6. 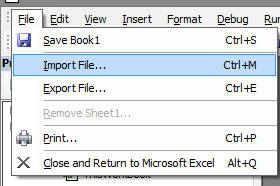 To import the VBA file select File -- Import File then search for and select the IDAutomation_Aztec_Macro.vba. 7. Select Tools -- References and search for the Aztec encoder. Choose OK.
9. In cell B2, enter the formula =EncAztec and reference cell A2 to encode the data. The encoded data for Aztec should appear as several alpha characters. (1) the parameter named ApplyTilde/ProcessTilde must be enabled. (2) the function must be encoded in the format ~d### where ### is the three digit ASCII value for the function to encode. In the ASCII chart, a Horizontal Tab (HT) uses the value 9. To encode it in IDAutomation products, use ~d009. » Do you have an Aztec demo version for the Mac users?